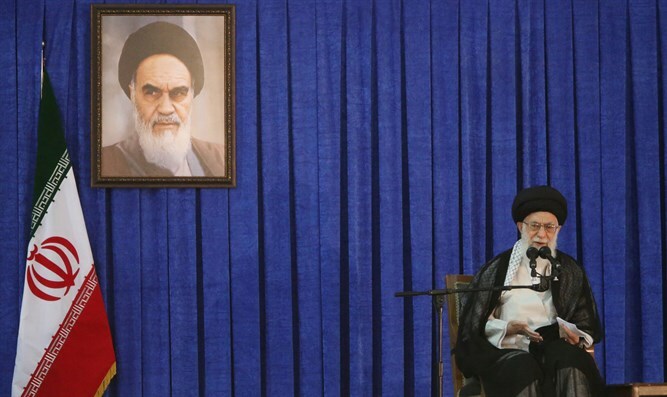 Iranian Supreme Leader Ali Khamenei this week delivered a speech on the 40th anniversary of the Iranian Islamic Revolution, reports Middle East Media Research Institute (MEMRI). The speech aired on Channel 1, Iranian TV. He continued: “As long as the American government and regime continue with their evil actions and vile and despicable interference, the Iranian people will not stop chanting: "Death to America." The audience, members of the Iranian air force, replied with the chant, "Allah Akbar!... Death to those who oppose the Rule of the Jurisprudent! Death to America! Death to England! Death to the hypocrites and evil ones! Death to Israel!" Khamenei then recommended: “Don't trust the Europeans either.” ”Look at them with suspicious eyes. They aren't committed to anything.” He accused the French government of blinding demonstrators and said the Europeans have no right to criticize Iran's human rights record.